Hey ladies! Can you believe Spring is just weeks away? I know it doesn't look like it outside but there is hope y'all. And with Spring there comes the intense desire to start cleaning everything in sight. But let's not forget about spring cleaning that pretty face, girlfriend. 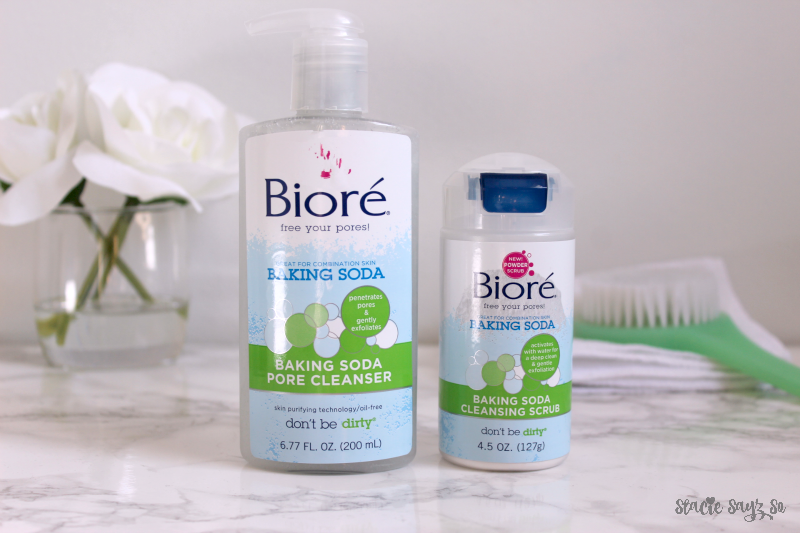 Bioré Baking Soda Pore Cleanser, the latest product in the fight against dirty pores. 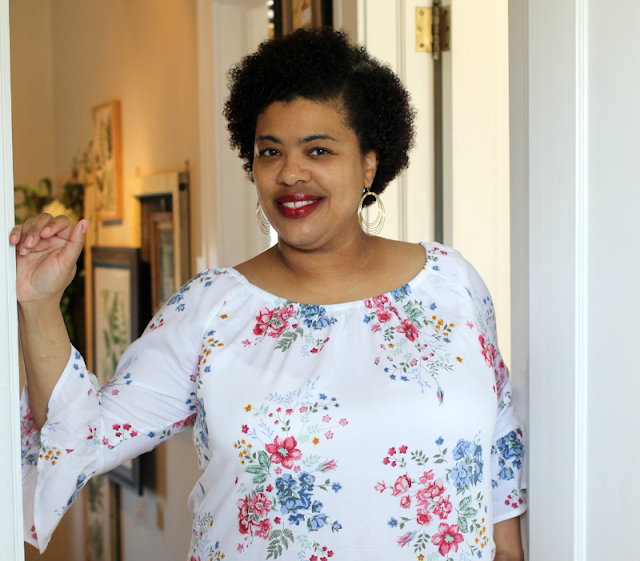 All this talk about Spring has me in the mood for a spa day and today I'm going to show you how to use a little Spring inspiration to give yourself a little at home pampering. 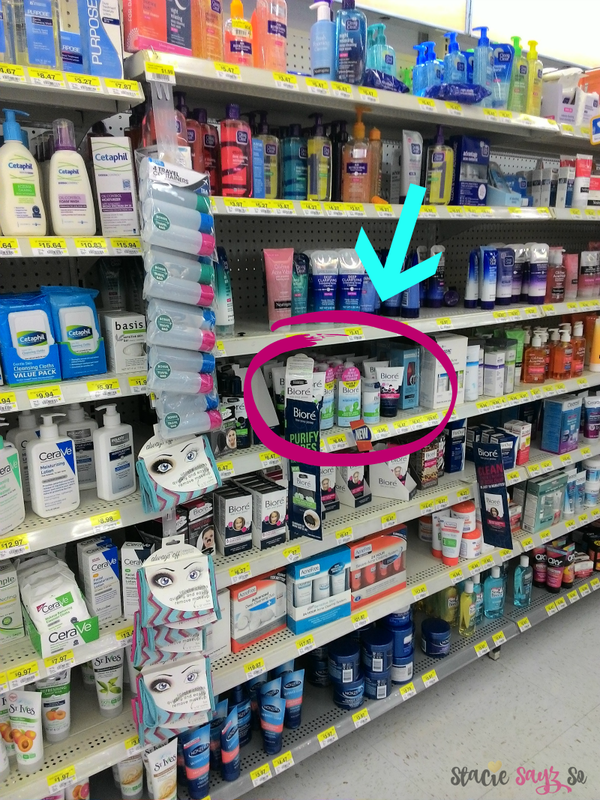 I headed to my local Walmart to purchase Bioré Baking Soda Cleansing Scrub and Bioré Baking Soda Pore Cleanser to start my pampering day out right! *First, light your favorite floral candle. 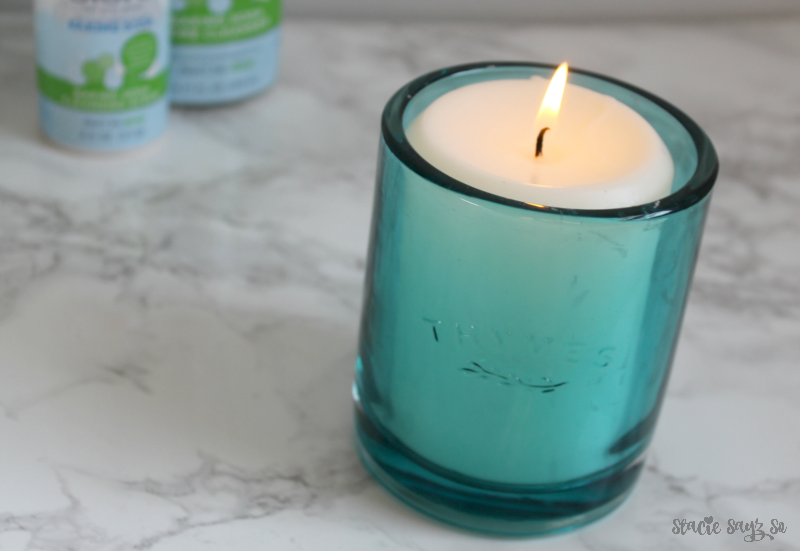 Lavender is perfect candle scent for a Spa day. It will help calm you. 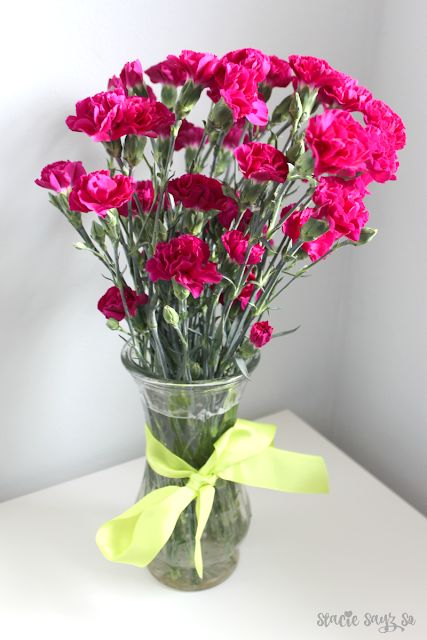 *Nothing says Spring like fresh flowers! Buy a bouquet and place them in your bedroom or on your bathrooms sink. *Listen to some soothing sounds. Play your favorite Jazz CD or a playlist that is relaxing. No fast music though. Save that playlist for your workout. 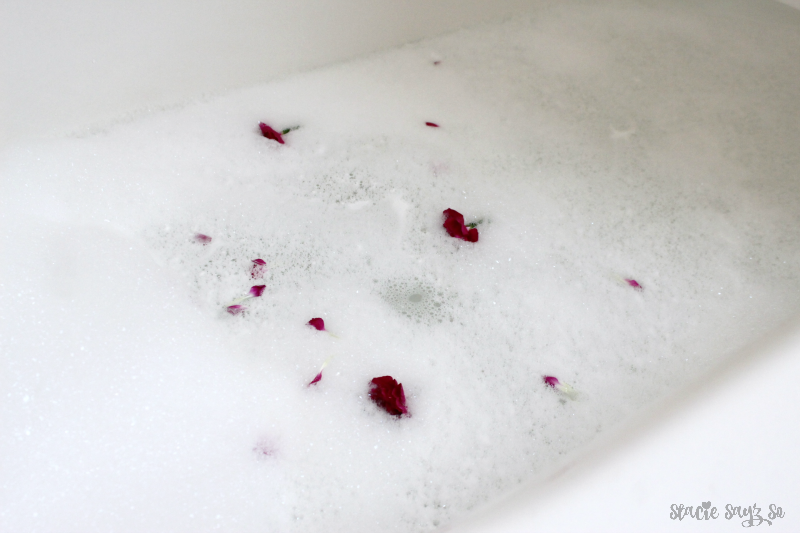 *Draw yourself a warm bubble bath and add rose petals or another flower of your choice to remind you of spring. Then, soak those cares away! Just add water to start feeling the fizz! 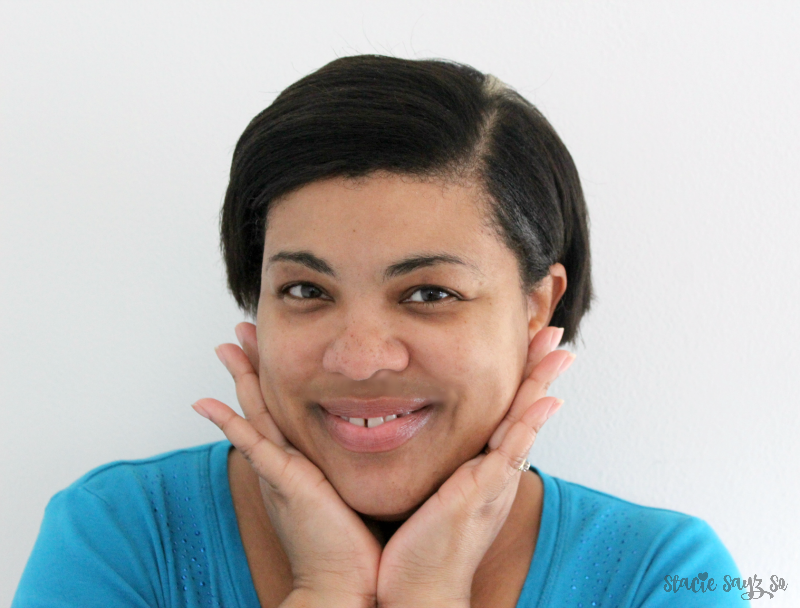 Bioré Baking Soda Cleansing Scrub is cool, tingly and great for combination skin like mine. *Pamper your facial skin by cleansing with Bioré Baking Soda Cleansing Scrub and Bioré Baking Soda Pore Cleanser. 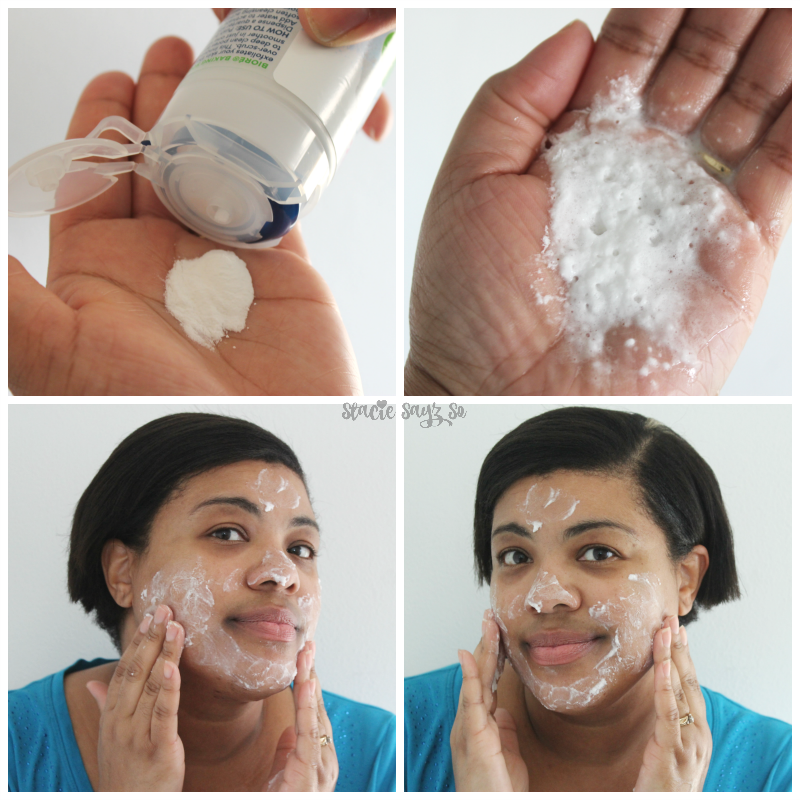 Baking Soda is a natural ingredient that deep cleans and gently exfoliates for a fresh looking face. My fresh Bioré face sans makeup. 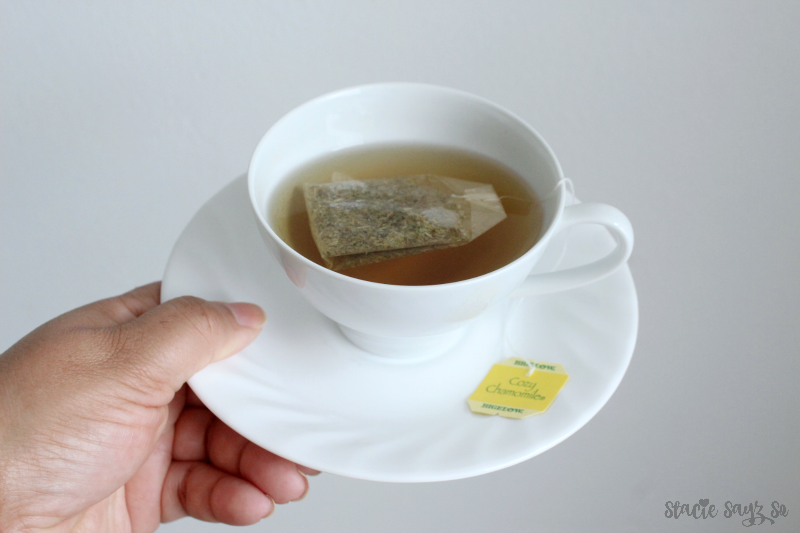 *Lastly, sip a cup of Chamomile tea to help you feel completely relaxed. Ahhh. Will you be taking a spa day soon? 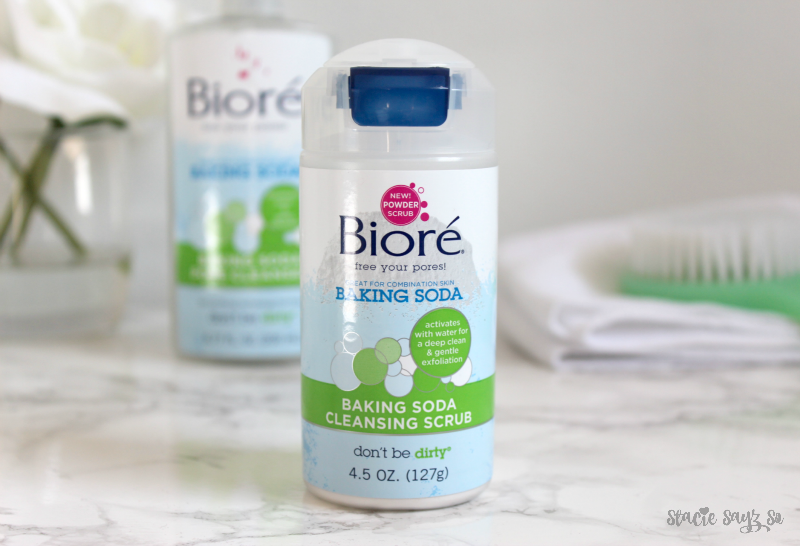 What do you like most about Bioré Baking Soda Cleansing Scrub? Great pictures!!! This sounds like a great facial care product. Thank you Sonya! It feel cool and fizzy. 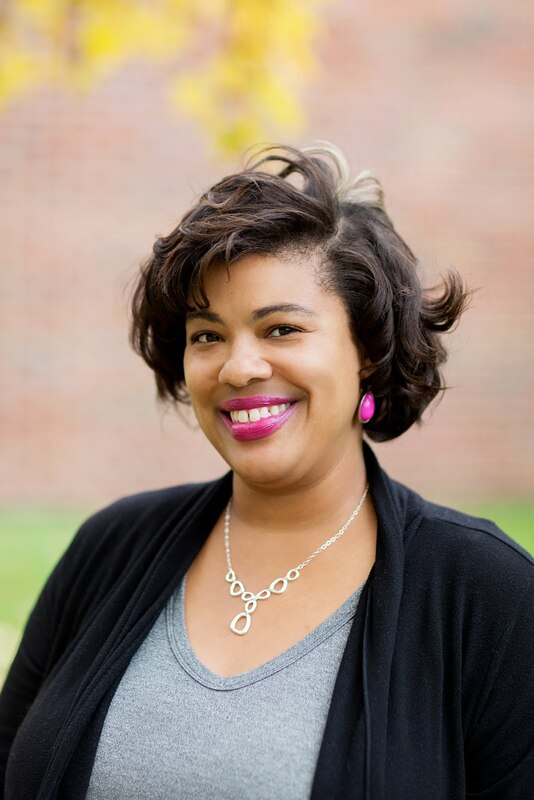 What a great post Stacie! Loved your spa day tips. That cleanser looks amazing. Thanks girlfriend! If you try it, tell me what you think of it. Perfect pamper party! Love this post and definitely would like to try the products! Yes, that's a great idea Robin! I'm in need of a little TLC. :-) Great spa tips! Your skin looks amazing! Biore is definitely worth a try!! Thanks for sharing! I have to check this out. I like Biore so another fun thing to try out. I used to love their warming masks so this was fun. I'm so ready for a spa day, I could really use some pampering. Well make sure you take some time for you real soon. I like the sound of a Spring spa day right about now... my friend loves Bioré, I need to check them out. the spa day is something I plan at least 2 times a month. I realized it doesn't have to cost a lot, it just has to be a result of relaxation. Ooooh! Did your skin feel smooth the next morning?! I'm looking for something new and would give this a try. My skin took s beating from the frigid winter temps. I sip honey vanilla chamomile tea daily, it's relaxing. Aw nice photos! Your skin looks lovely! 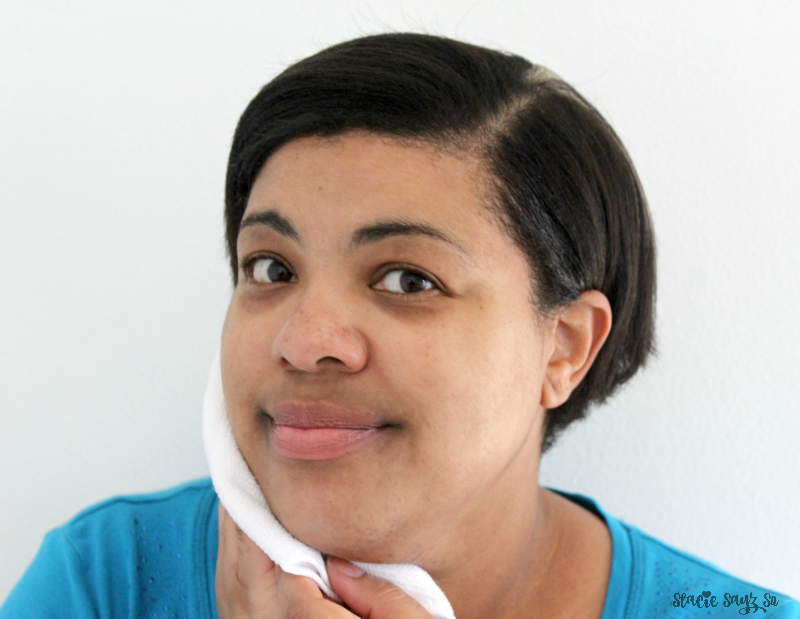 I'm all about a spa day, and love a good at-home facial. And this tub reminds me that it's time to schedule one. Perfect self-care post! We tend to neglect ourselves so I love seeing this. very interesting post.This is the perfect way to enjoy a spa day! Yes, I love it! I'm all about that nice long bath and tea life. Nice to learn about a new product as well.